Click the link and get 150 Energy for free. NOTE: If you click te link and come notice "Sorry all Energy has been claimed" then click on another link. 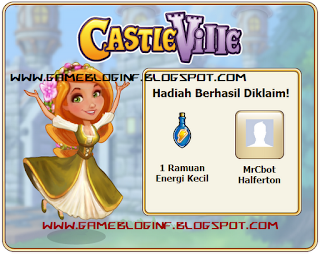 Always visit my blog or lie my facebook page to get new update about CastleVille Free Gift.